We are SO excited to partner with Active Moms Magazine to launch this program! 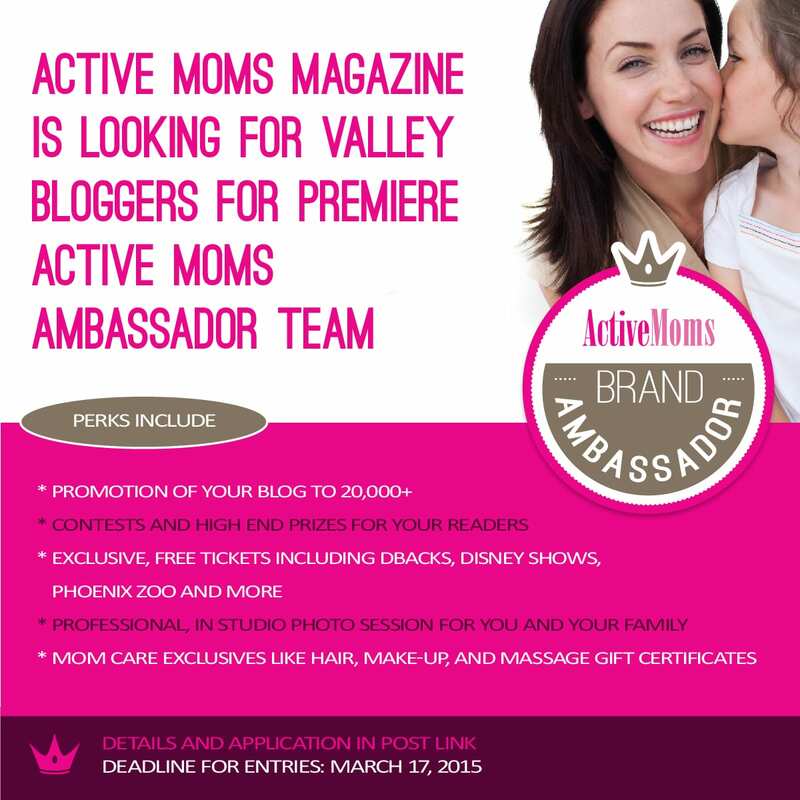 Active Moms Magazine is looking for Valley Bloggers who would like to be on the premiere Active Moms Ambassador Team! 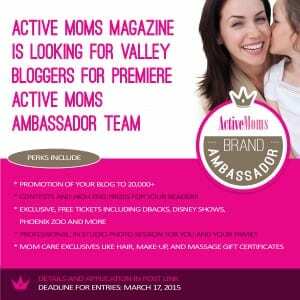 What is an Active Moms Ambassador? This team of Valley-based bloggers with quality, loyal followers will share its valuable input with our marketing team and weigh in on strategies as we go into our 13th year! Should display an interest in an active family lifestyle that includes attending the type of events featured in Active Moms Magazine such as community festivals, farmers markets, art walks, family walks and hikes and activities that support our non-profit organizations. These are bloggers who can creatively feature Active Moms Magazine events and advertisers in posts that are organic, fun, interesting and can be replicated for best exposure. Most of all, we seek individuals who embody the Active Moms Magazine corporate identity in lifestyle, demeanor, values and ethics. • Active Moms Brand Ambassador Logo on site & much more! • Complimentary Invitations/tickets to select Disney on Ice and Disney Live, Children’s Museum of Phoenix, Phoenix Zoo & More! Note: Additional terms and perks may apply if selected.